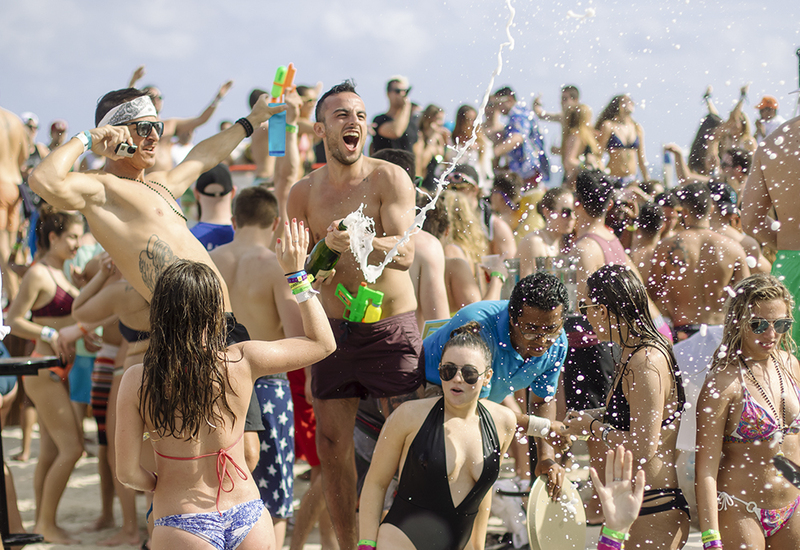 Enjoy a perfect day on the beach at Mandala Beach Cancun. During the day, this is the favorite beach club thanks to its relaxed ambiance and during night it turns into an eclectic nightclub where you can enjoy an exclusive Pool Party. 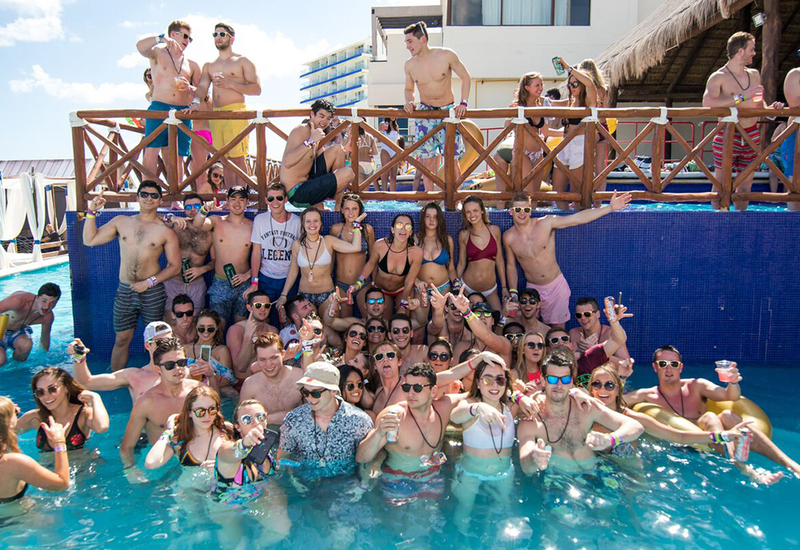 During the day, Mandala Beach opens daily (from 10:30 am to 5:00 pm) and offers you a privileged location in front of one of the most beautiful beaches in Cancun and complete facilities for you to live an unforgettable day: 3 pools, lounge chairs, beach beds, private villas, bar, restaurant, exclusive beach and good music. In addition, the amount you pay to reserve your access during the day is converted into a food and beverage credit. Family Zone | Families are welcome in this comfortable zone which offers a wading pool, restrooms and showers next to the Palapa. And in the lounge chair zone you can feel the fine sand between your toes while you admire Cancun’s sea. Children under 10 have free access when accompanied by an adult. Beach Club Zone | This area is exclusive for adults (+18). Here is where you will find the heart of the party at the main pool. Make yourself comfortable in a lounge chair or a bed and enjoy the sun, the music and the staff’s excellent service. Take advantage of your credit and order delicious snacks and drinks off the menu. VIP Zone | This area has restricted access and is exclusive for adults (+18). It offers a lounge chair area, 7 villas, Jacuzzi and a private pool. This area is recommendable for groups, which enjoy the beach club’s facilities and the environment at Mandala Beach. Enjoy days full of sun and warm nights at Mandala Beach. Buy your tickets now!